Aaaaaand . . . this is it folks: we have reached the final post in blogmas . . . now that we are half-way through January. No regrets. 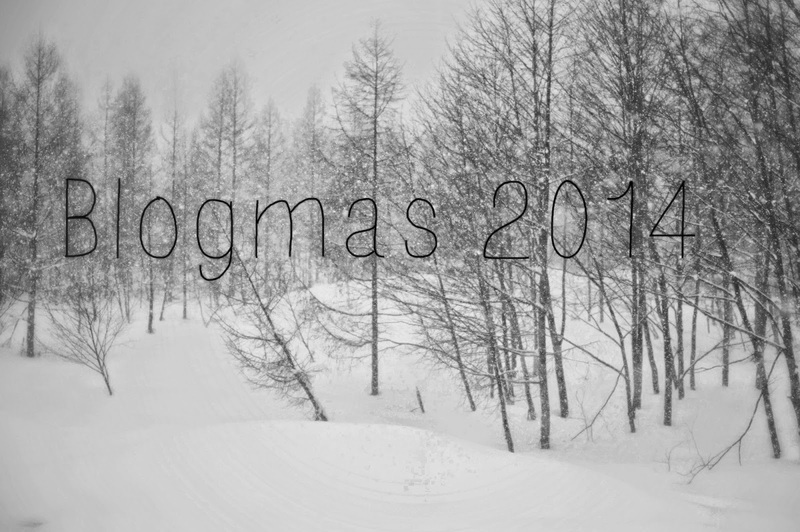 For my final Blogmas post, I am going to do a wrap up of 2014, which was, overall, a pretty good year for me. A lot of things changed for me in 2014 and I spent most of the year preparing for and responding to these changes. I think all of the changes I experienced in 2014 were positive in that they helped to move my life forward, but they did stymie my creativity. I didn't read as broadly or deeply as I normally do in 2014. I didn't write as much in 2014 as I have in previous years. I didn't listen to as much music. I didn't watch as many films. I didn't fall in love with any TV shows. 2014 was an artistically dry year. However, there were several amazing things that happened in 2014 that I will cherish for the rest of my life and I that I want to share with my readers. I got a very high rating on my annual performance review at work. My work means a lot to me and it was great to have my hard work recognized by my administrators. Their respect means a lot to me and it was nice to have their high regard in writing. I got to see my fur brother Harley before he passed away. I am glad that I went to Arizona in August not only because I got to see my dad for the first time in more than a year, or because I got to meet my beautiful fairy princess niece, but because I got to be reunited with my fur brother just three months before he passed away. I can't tell you how important it was to me to be able to be with Harley again. Those are moments that I will hold close to my heart for the rest of my life. I moved. I finally live in a nice, safe neighborhood that is clean and close to all of the shops that I frequent. Also, this is the first time that I have lived somewhere that I am proud of. I got to meet my new niece! She's amazing and smart and beautiful and lovely and I love to her bits. I started my first (part time) library gig. I enjoy getting to use my other professional skills and work with a different clientele. Working at the library has given me a new perspective on my teaching and has also helped to get me "out of my own head" professionally. I started taking foreign language classes again. I missed formally studying a foreign language. Brushing up on your language skills is good for the aging brain, dudes. I bought my own domain. Duh, you're here. I started scrapbooking at the end of 2014. I really enjoy getting to do something creative with the photos I have taken. When you scrapbook, you get the chance to reminisce and make something beautiful out of your memories. Maybe I will do a blog post about scrapbooking and about some of the pages I have created. Let me know if that is something you would like to see in the comments. I have started to be more forgiving and accepting of myself. The best lesson I learned this year is that I like myself and that the quality of my life is far better when I am kind to myself. All in all, 2014 was a good year. 2014 challenged me emotionally and challenged the health of my loved ones. For all of its ups and its down, I feel like I am richer for the experiences the year brought me and I am excited to see what 2015 has in store for me.